Eagle Nest Golf Club was built in 1971 by Gene Hamm & Associates and renovated from the tees to the greens, along with the clubhouse, in 2001. Soft spikes are required on the Bermuda fairways and greens of the esteemed Myrtle Beach championship golf course. 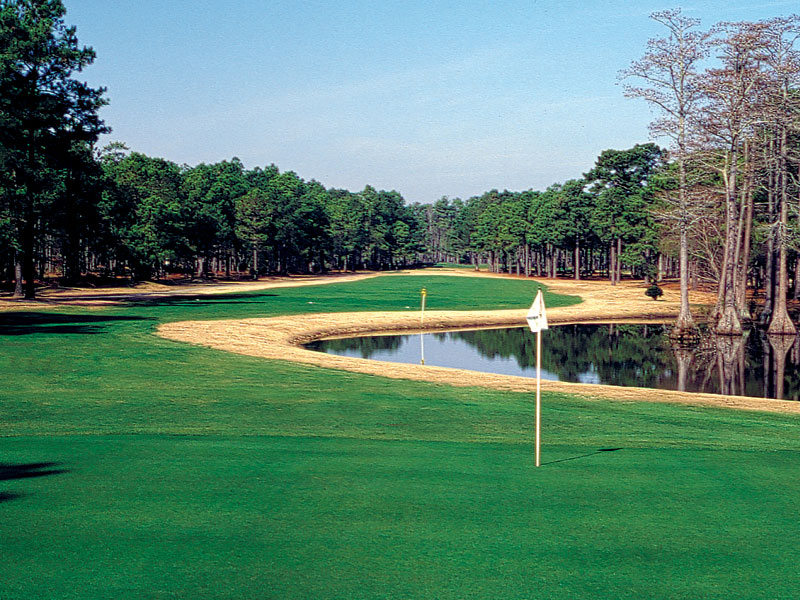 It’s beautifully surrounded by a Carolina pine forest that shelters dozens of bird species, which present a musical backdrop for all golf games. 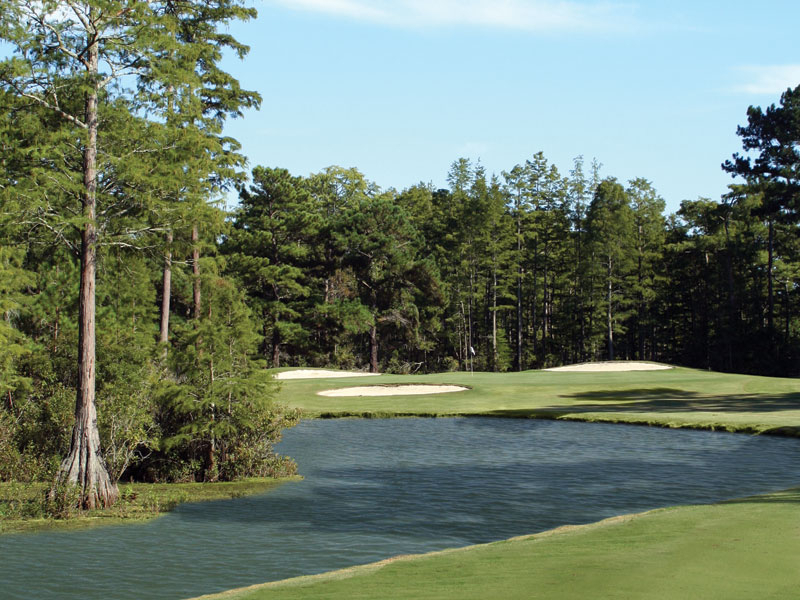 Hearty cypress trees emerge like linebackers from freshwater ponds and wispy willow trees sway in the gentle South Carolina breezes, creating natural challenges and obstacles for Eagle Nest Golf Club golfers. 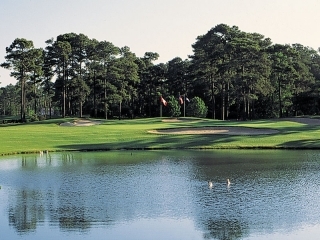 The gentle contours and generous playing areas are the ingredients for a pleasant round of Myrtle Beach golf. Playing from the tips, Blue-6901, challenges the low handicap golfer while the shorter tees, White-6417, Gold-5594 and Red-5105, are friendly to the higher handicaps. Gaining its name from its resident bald eagle that nested high in one of the property’s towering trees. 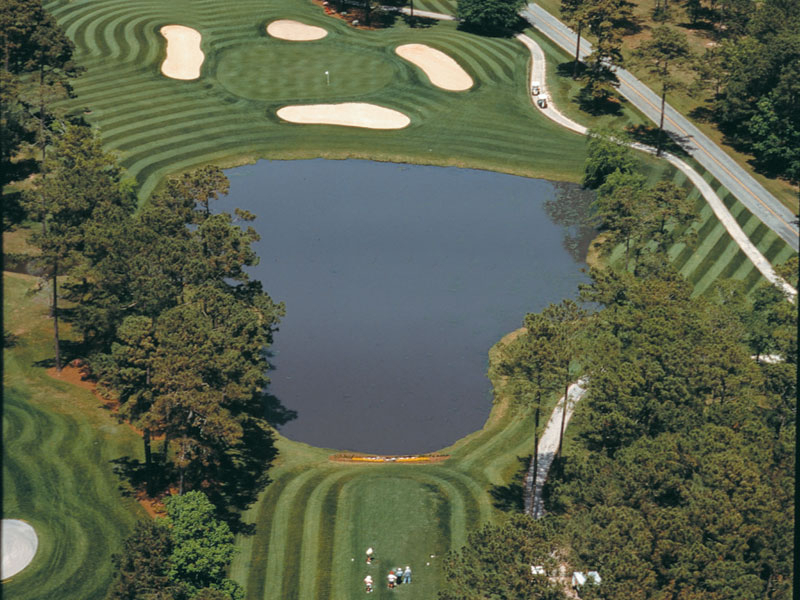 The nest became an icon for this North Myrtle Beach golf course. Most American bald eagles nest near rivers or the coastline as they are fish-eating birds. A typical Eagle’s Nest is 5 feet in diameter, though because eagles often use the same nest year after year, some nests are up to 9 feet across, weighing up to two tons. Unfortunately, the beloved nest at Eagle Nest Golf Club was destroyed by Hurricane Hugo in 1989.